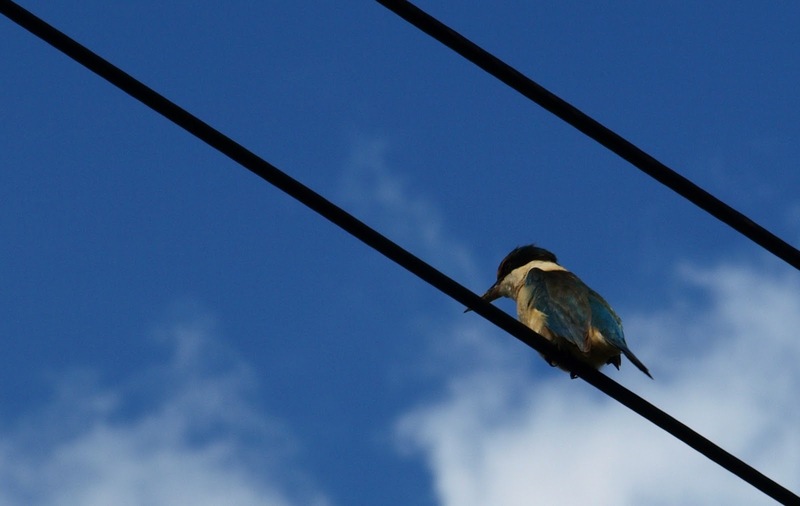 There was a kingfisher sitting on the powerline facing into our garden this morning. I cleaned out the pond yesterday so the water's not (as) green any more and the goldfish are visible. Coincidence? I think not. I've never caught one in the act, but they've hung around here in the past and fish have gone missing, so that's good enough for me. Just because the evidence is circumstantial, it doesn't mean they're not guilty. I have seen a kingfisher fishing from a dam in a paddock and I know how quick they are - flash of blue, splash of water and there they are back on the branch with a beakful of wriggle. Pretty impressive - but not as spectacular as gannets diving like arrows (so fast, as from a cross-bow) from a great height into the sea or, more colourfully, Galapagos boobies (which are also gannets). Or pelicans, which look so ungainly and cumbersome in flight, but are nimble enough to do the business in the water. 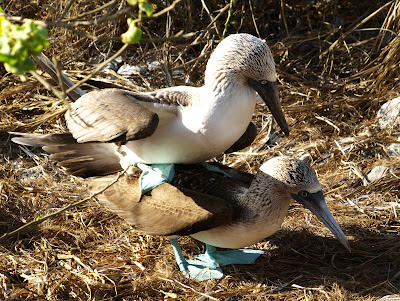 Speaking of which, here is a couple of exhibitionist boobies. 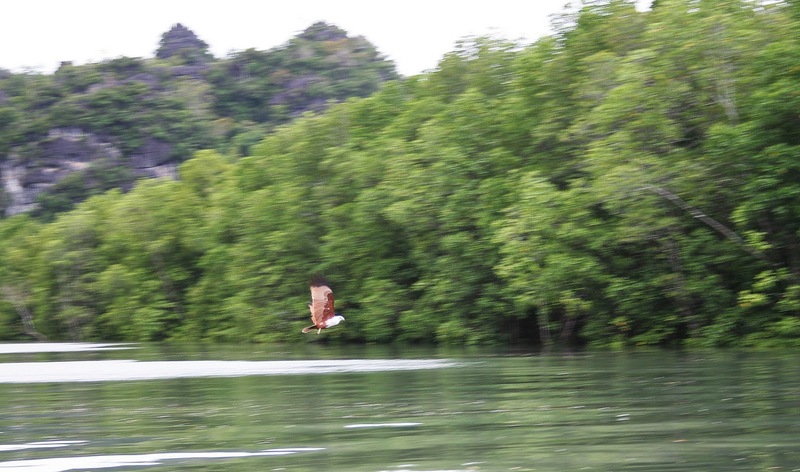 Or sea eagles, improbably big and feathery for this game, but equally efficient - I've watched them on the Katherine River in the NT, and near Langkawi in Malaysia. 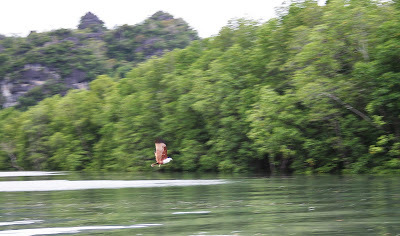 You can go for a boat trip there where they call out to the eagles and kites that are just dots way up over the limestone peaks, and they come swooping down to scoop up fish that are thrown into the water. Not very eco, maybe, but it's astonishing to see the accuracy of the stoop, and the strength they show in climbing back into the air again. Though, considering my biggest goldfish are just about the size of the kingfisher, that would be some feat too. One I don't want to see happen, I should add.